for her and her party, British Prime Minister Theresa May has appointed onetime rival Michael Gove to her cabinet as the new environment secretary. While the move is seen as a largely political maneuver to shore up May’s teetering position within the Conservative Party, Gove’s poor record on climate change has attracted fierce criticism from environmentalists and fellow politicians. Gove is not a full-fledged climate denier like, say, EPA head Scott Pruitt. But he has consistently voted against most legislation intended to get businesses to cut carbon emissions or to take other concrete steps to mitigate the effects of global warming. A major advocate of Britain leaving the European Union, Gove made the opportunity to get rid of EU environmental regulations a key part of his pro-Brexit arguments. While serving as education secretary in 2013, Gove attempted to remove climate change as a required subject on the geography curriculum. He was blocked in this effort by then energy and climate secretary Ed Davey, who has blasted this new appointment as environment secretary as being like putting the fox in charge of the hen house. Green Party co-leader Caroline Lucas has said it’s hard to think of many politicians less qualified to look after the environment than Gove. Greenpeace head Jon Sauven told The Guardian that Gove would have to move quickly to prove he’s better than his record suggests in dealing with air pollution, overfishing, and rising levels of plastic waste in the waters surrounding the UK. 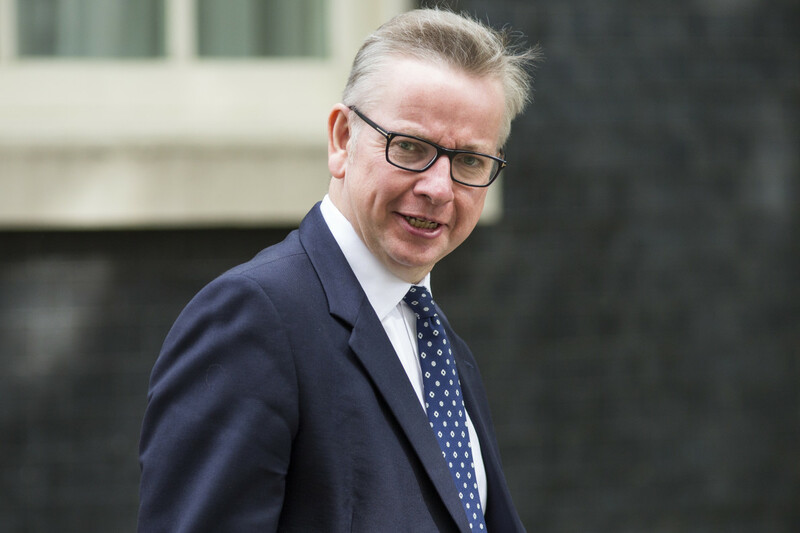 Gove’s appointment fits into a larger recent pattern of the British government not taking its climate responsibilities seriously, at a time when the Trump administration’s outright climate denial means the rest of the world can ill-afford to slack off. In order to remain in power after losing her majority in the House of Commons, May has spent days negotiating a deal Northern Ireland’s far-right Democratic Unionist Party, of which several prominent members reject the scientific consensus on climate change and have praised President Donald Trump’s exit from the Paris Climate Agreement. Naming Gove the environment secretary may have also added extra enticement for the DUP to ally with May’s government. And while the Conservative Party’s policy manifesto says the UK will be a global leader in fighting climate change, the Prime Minister faced her own round of criticism for not joining the leaders of France, Germany, and Italy in a joint declaration condemning Trump’s Paris decision. None of these individual moves mean the United Kingdom is necessarily abandoning its climate policy in the way the United States is under Trump. But they all fit a pattern of May and the Conservative Party prioritizing short-term political expediency over more principled commitments. Moves like the Brexit vote and the planned DUP alliance have already threatened to destabilize the European Union and the still fragile peace in Northern Ireland. The fight against climate change could just be the next under threat. The wisdom of crowds has been taking a battering lately. Last November, every major news outlet and pollster said Donald Trump would lose the presidential election, and just last week there was similarly unanimous consensus that Britain’s Conservative Party was headed to a big win in its own election. Both seem like perfect illustrations of the dangers of groupthink, of the massive errors that can creep in when people all bring their opinions in line with one another. Not so fast, says University of Pennsylvania researcher Damon Centola. His research, published in this week’s issue of the Proceedings of National Academy of Sciences, suggests that the classic way of looking at groupthink — in which collaborative decision-making gets worse the more people know what others are thinking — is wrong. People can actually benefit from knowing what others are guessing in uncertain situations. 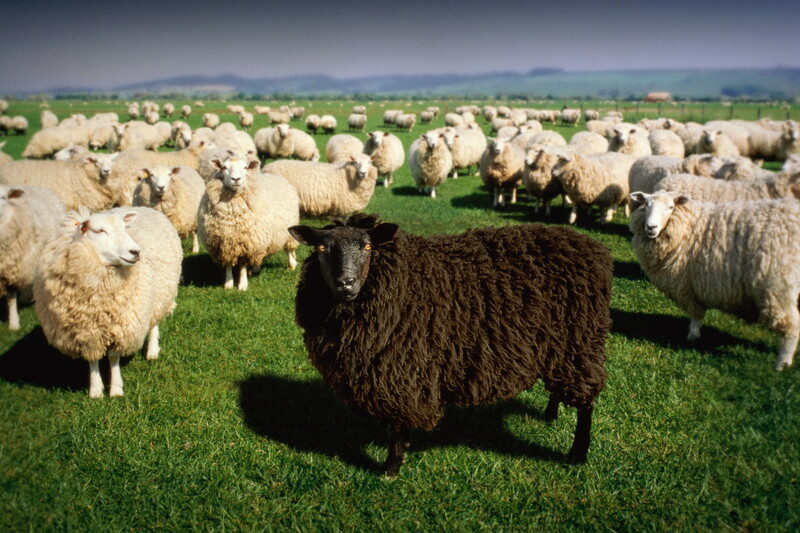 It’s only when some people have too much influence over the crowd that the really big errors creep in. Centola’s study had more than 1,300 people take part in online surveys where they were given three tries to estimate things like how many calories were in a given meal. The participants were put in one of three scenarios. Some were just given three tries, with no further information about what others were guessing. Some were put in social networks where everyone’s input was given equal weight, and the participants saw their fellow group members’ estimates after each round of guessing. The rest were in groups where certain people were singled out as important, and others in those groups could only see those influential people’s guesses. Over three rounds of guessing, only those in that second group, where everyone’s guesses were equally important, got more accurate. The other two sets either showed no difference in accuracy or actually got worse the more opportunities they had to guess. Even in cases where the chosen opinion leaders were good at guessing one estimate, they generally proved inaccurate for all the other tasks. The key then to preventing groupthink might not be to keep everybody wholly independent in their decision-making — which Centola says is what scientists and engineers often strive for when making big collaborative decisions out of fear of groupthink — but rather to ensure that nobody holds too much sway when people compare notes. His own work has focused on how this approach could prove useful in medicine, with doctors potentially using social networks to work together on tricky cases and make better judgments. The finding also makes a lot of sense in contact with the recent run of poorly predicted elections: Maybe the problem wasn’t that everyone agreed Hillary Clinton and Theresa May were cruising to big victories, but rather a lot of the people most certain of that outcome were also some of the most powerful, influential voices in the political and media establishment. That’s exactly the kind of outsize influence Centola’s research suggests is at the heart of groupthink at its most error-prone and wrongheaded. Some coastal cities could spend much of the next century dealing with close to constant flooding, while others could find that rare but devastating floods aren’t nearly as rare as they used to be. That’s according to new research published in Environmental Research Letters on how climate change will affect flooding in the United States. While precise estimates vary depending on location and which climate model you use, global warming figures to cause sea levels to rise anywhere from half a foot to more than six feet by 2100. Any rise makes flooding a more likely and more frequent occurrence, though exactly what that means varies depending on which part of the country the researchers were looking at. Across the coast of the contiguous United States, the researchers found that so-called 100-year floods — those that used to happen only once every 100 or so years — would be 40 times more common in 2050 than they are today. That sounds bad, but those same floods are projected to occur 3,500 times more frequently in 2100. By 2050, San Diego and Key West would both deal with more than 10 of these supposedly rare floods every year, while a few Hawaiian communities would see more than 100 each year. By 2100, that kind of extreme frequency would be the norm for several parts of the United States, including Los Angeles, San Diego, and coastal communities in Florida, Georgia, North Carolina, Maryland, New Jersey, and Texas. Still, more severe 500-year floods — those that, at least in theory, only have a 0.2 percent chance of happening in a given year —would also become far more common, especially along America’s Pacific coast. 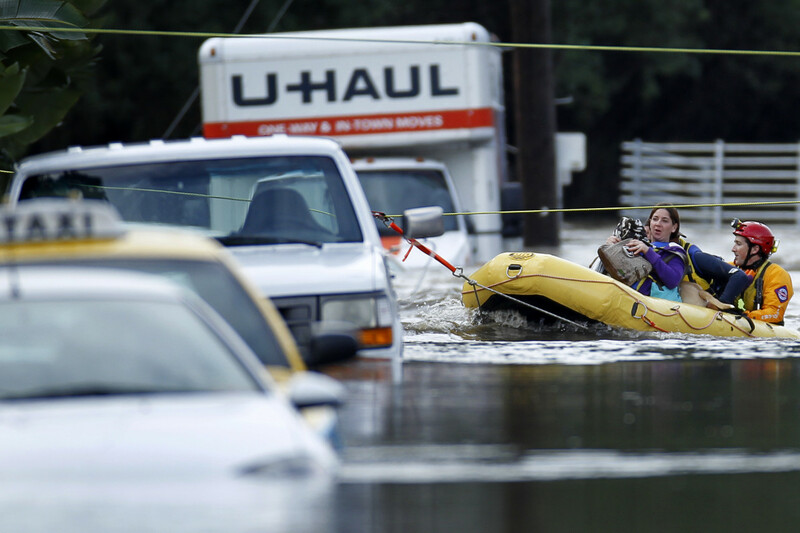 San Diego, Los Angeles, San Francisco, and Seattle would all regularly deal with such floods. While severe flooding would remain comparatively rare along the Gulf and Atlantic coasts, many communities would deal with around 180 or so 10-year floods. That’s a flood basically every other day. This doesn’t mean American cities would necessarily be underwater by 2100. But holding back flooding on this sort of scale would require massive investments in the infrastructure necessary to keep water from inundating cities. This is also where understanding what kinds of floods are coming is important: A city that’s going to face a constant barrage of medium-sized floods has to prepare differently than one that is suddenly dealing with largely unprecedented disasters. Thursday’s election results in the United Kingdom defied political orthodoxy, as Jeremy Corbyn’s unabashedly leftwing Labour Party denied the ruling Conservative Party and Prime Minister Theresa May a majority in parliament. The unexpected deadlock has handed unprecedented importance to Northern Ireland’s far-right Democratic Unionist Party and its anti-science viewpoints. The DUP doesn’t have official stances denying climate change or evolution, but important members have publicly held both positions. The party previous appointed climate denier Sammy Wilson as its environment minister in the Northern Ireland government. Now a member of parliament, Wilson recently praised President Donald Trump for withdrawing the United States from the Paris Climate Agreement. Thanks to DUP stonewalling, Northern Ireland is the only part of the U.K. that hasn’t passed legislation to cut carbon emissions. By contrast, the Conservative Party fully accepts climate science and spearheaded several important pieces of green legislation during the tenure of May’s predecessor, David Cameron. Many key DUP politicians, including the head of its education committee, are members of a creationist group that believes the Earth is less than 10,000 years old. A 2013 survey found 40 percent of party activists want creationism taught in schools. The DUP holds leverage right now because the election resulted in a hung parliament. If no one party has a majority, two can form a coalition and share power — as the Conservatives and the Liberal Democrats did in 2010 — or the largest party can reach a more precarious arrangement where another party will support the government’s basic existence but vote on all the issues on a case-by-case basis. May is headed toward the latter with the Democratic Unionists, whose 10 members give her a razor-thin majority in the House of Commons. The whole thing could fall apart at any moment for pretty much any reason, which means the Conservatives have incentive to keep the DUP happy. 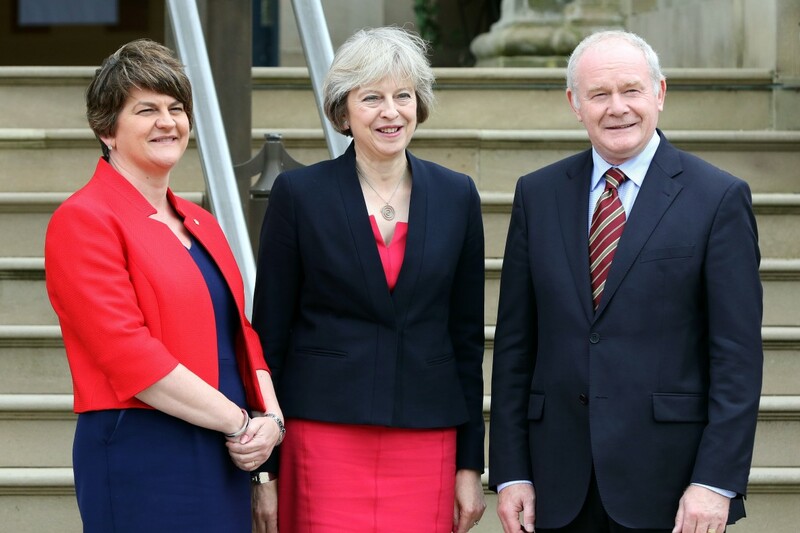 It’s relatively unlikely the DUP will end up holding substantial sway for long, given the inherent instability of the planned arrangement and the fact it may violate the peace agreement that ended the decades of conflict in Northern Ireland. But the hung parliament has shone a spotlight onto one of the United Kingdom’s most socially regressive parties — it also has consistently fought abortion rights in Northern Ireland, forcing women to travel elsewhere if they need to get one, and vetoed marriage equality in Northern Ireland since 2015. Even if the DUP doesn’t get to affect the rest of the U.K., its policies have already been shaping health and environmental issues in Northern Ireland for years. 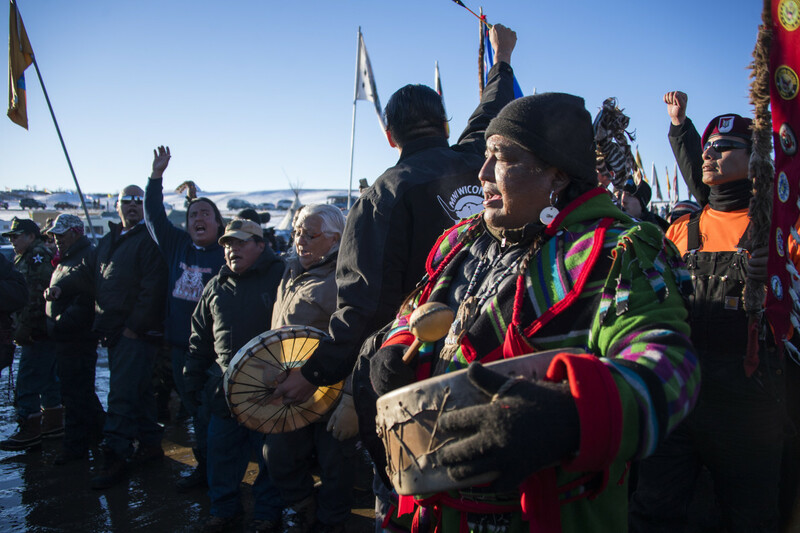 Oil began flowing through the Dakota Access Pipeline on June 1, marking the beginning of a new era for the Standing Rock Sioux and other Indian tribes in their efforts to protect their land from the fossil fuel industry and the Trump administration. Land defenders have focused on stopping the construction and then the opening of the pipeline, and while legal challenges will continue, Tribal Chairman David Archambault II said at a press conference in New York on Thursday that the tribe’s goals would also broaden. Archambault was there to receive the inaugural Henry A. Wallace award, a $250,000 prize named in honor of Franklin Roosevelt’s progressive vice president and intended to help groups fight against corporate control of politics. For the Standing Rock tribe, that means investing in renewable energy as a way to free themselves from fossil fuels like those carried by the pipeline. Archambault said the tribal government is exploring wind energy as a resource they can control commercially, while the tribe is also looking at smaller-scale solar power projects. He said these efforts don’t just mean building new infrastructure, but also helping community members understand how unfamiliar technologies like wind and solar energy could potentially help them. Joining Archambault at the event was Nick Tilsen, a member of the Oglala Lakota Nation in South Dakota who stood with Archambault against the pipeline. His work focuses on building sustainable communities and renewable energy in Indian country. He said the pipeline itself is just a mode of transportation for a much vaster industry that has to be dismantled. Moving to renewable energy is a big part of that, but the extreme poverty on many reservations complicates that task. Oglala Lakota County is the poorest in the United States, and seven of the 11 poorest communities in the United States are reservations in South Dakota — which doesn’t even include Standing Rock, just across the state line in North Dakota. When asked about their contact with the new administration, both said the access they had built up during the Obama years was largely gone. Archambault said tribe had survived past administrations and would survive this one, though Tilsen observed that even past administrations that were more hostile to native interests at least pretended to listen — so far, he said, the Trump administration wasn’t even bothering with that. With little reason to think the federal government will stand with them against the fossil fuel industry for the foreseeable future, both are focused on building a more sustainable and environmentally-friendly energy infrastructure from the bottom up. As Tilsen pointed out, no part of the U.S. faces greater challenges in building that future. This is shaping up to be a busy week for the EPA’s lawyers. Six conservation groups sued the agency Monday, arguing it had unlawfully suspended Obama-era rules intended to prevent methane leaks in oil and gas drilling. Elsewhere, seven states — along with still more activist groups — lodged an official objection Tuesday to the EPA’s decision not to ban a pesticide despite the agency’s own finding the chemical is toxic. That groups and states are suing the EPA is nothing new, and Pruitt himself has bragged about the 14 times he sued the agency as Oklahoma’s attorney general. 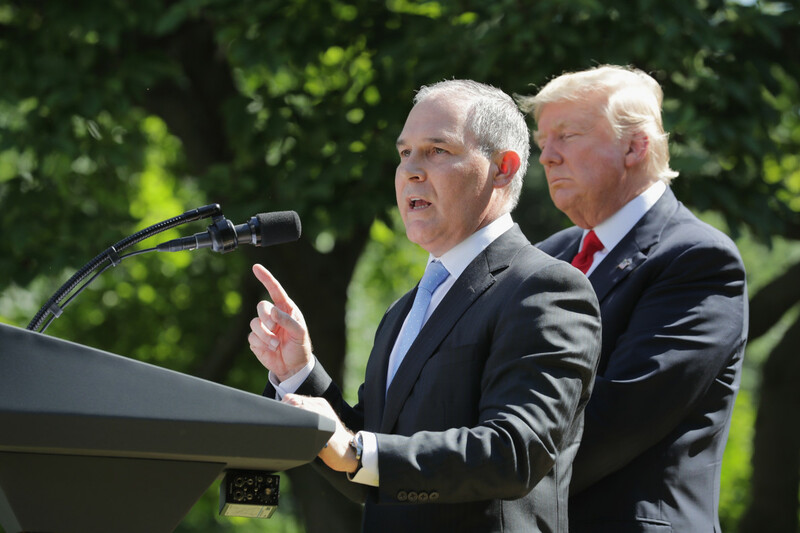 Many of the lawsuits already filed against Pruitt since his confirmation on February 17 are not tied specifically to his and President Donald Trump’s minimalist vision of environmental regulation. Rather, these suits are often efforts to force the EPA to respond to petitions and requests that date back to the Obama administration, including a lawsuit brought last year by 21 young people that argues the agency’s inaction on climate change imperils their future. The EPA generally faces a steady stream of lawsuits from industry, environmental groups, and state governments, regardless of who is president. But this week’s legal challenges stand apart because they are direct responses to decisions the EPA has made under Pruitt’s leadership. In the case of the methane rule, the plaintiffs in the lawsuit argue the EPA announced a 90-day delay on an Obama-era regulation without advance notice or giving the public an opportunity to comment, which the law requires. In a May 30 statement announcing the stay, the EPA said it was responding to several petitions from industry and would prepare a revised rule that would then be open to public comment. As for the pesticide chlorpyrifos, EPA scientists twice found during the Obama era that there was no safe level for the pesticide in human food. The EPA put forward regulations to ban the pesticide, but Pruitt officially dropped these proposals in March, instead announcing the safety of the pesticide could not again be considered until October 2022. The attorneys general of California, Maine, Maryland, Massachusetts, New York, Vermont, and Washington have joined to file an official objection to the EPA’s decision. More than a dozen groups representing affected communities, farmworkers, and conservationists have lodged their own appeal to the EPA and separately filed a lawsuit in a sweeping effort to compel the EPA to change course. Whether these legal challenges will meet with success remains to be seen, but they represent the first indication of what the legal opposition to the Trump administration EPA looks like. The EPA’s regulatory role means it’s always facing lawsuits, but these are among the first that look to find out whether the law allows the Trump administration can run the EPA the way it wants.